← Adorable HandMade Play Food! 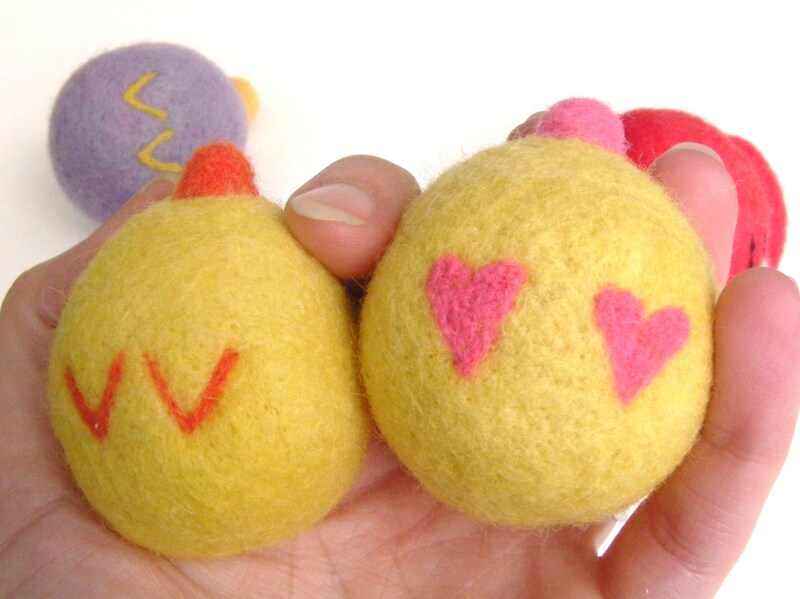 Customizable Needle Felted Baby Bird Toys! 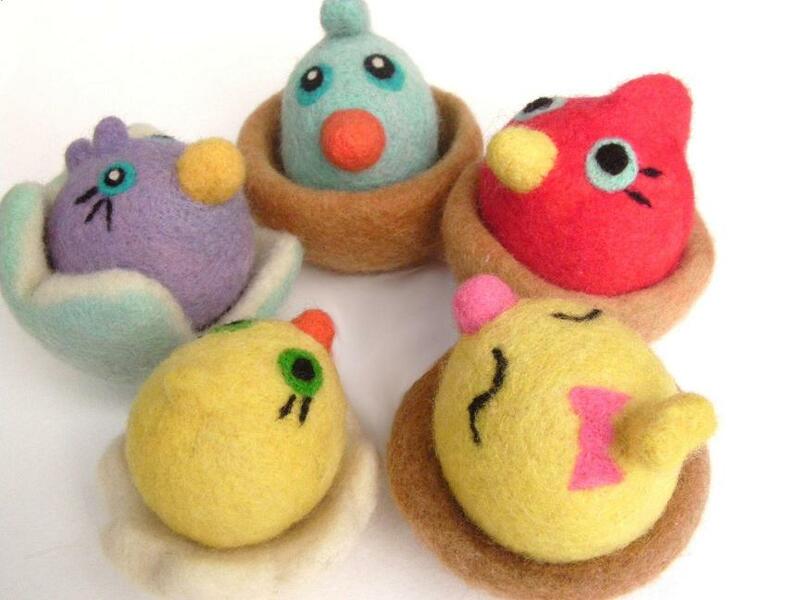 I’m so happy to share my needle felted toys of the week– five little baby birds in a nest/egg! These colorful felt creations were designed and built for my adorable children. The color of each bird represents his/her favorite color. My youngest is copycatting her sibling by choosing yellow; therefore, two yellow birds! These were seriously fun to make and I just loved adding those small personal details to each bird and egg/nest! Customizable birds turned out to be a great challenge and the creative process for these guys was so addictive. I literally couldn’t stop and felted an extra bird! For the super girly girl, I gave the little bird pink heart feet and a little bow! For the boy, all blue with his first initial on the nest. Each bird comes with an egg or nest to rest upon. And for the youngest children I color coded the shape and color of the feet to match the shape and color of the symbol on their nests! This is to avoid the “mine, mine” fights which are bound to break out without such forethought! The birds look fantastic all together, but separately my favorite is this little red one below! The blue eyes simply pop against that vibrant red. These toys were for meant for Spring, but they would make fantastic Easter toys as well. They would look so cute placed upon bright green Easter grass! Just a few more days til Spring! 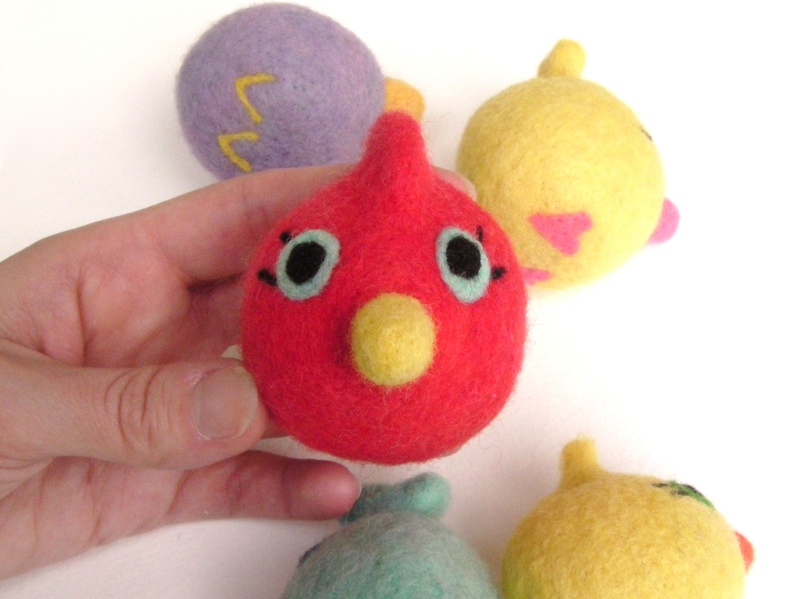 I would like to make a bunch of baby red birds. They look similar to the baby red birds on Mickey Mouse. How can I do this? Kim, I do not currently have a tutorial on making these birds. However, these birds are a very basic “ball” design with just very minor adjustments. 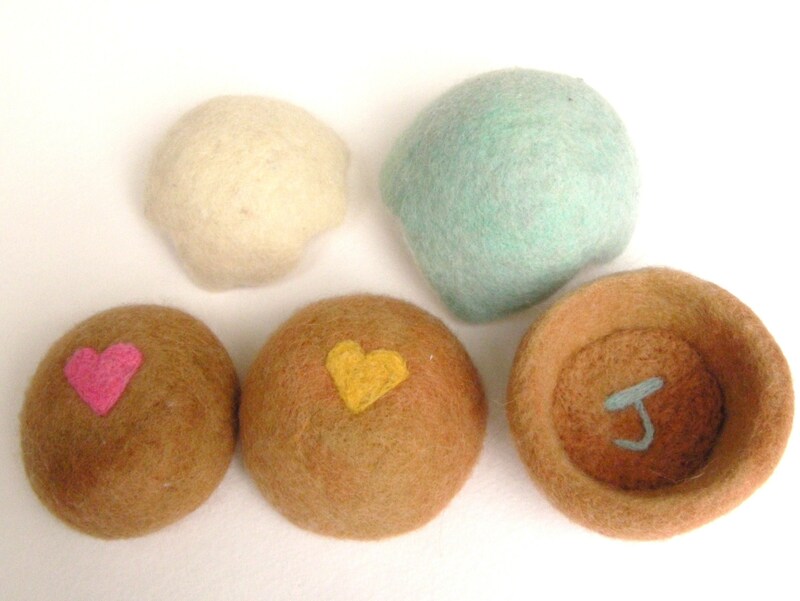 Simply visit my tutorial page and “Washing Machine, Wash, Wash” will step you through how to create felt balls. 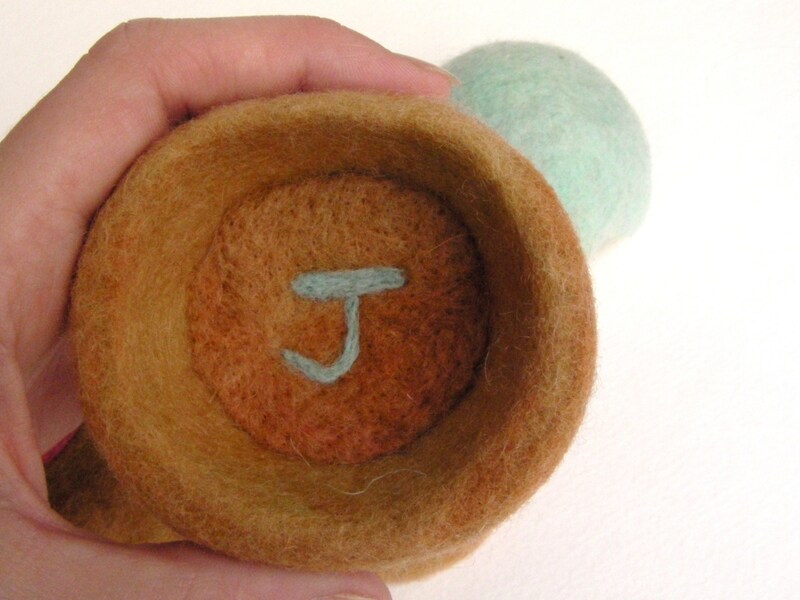 Once the felt balls are created you will need to needle felt eyes, beaks, etc. I hope this is enough to help you get started. Good Luck!